This entry was posted in Daily Happenings and tagged BackRoads, flowers, Kansas on April 24, 2019 by Debra Farmer. Just south of Junction City, Ks on a hill over looking the Smoky Hill River is a statute with a plaque that reads “The Indian”. Built in 1920, the statute is trying to survive the elements, but the vandals have certainly taken their toll on it. This entry was posted in Day Trips and tagged ART, Kansas on April 7, 2019 by Debra Farmer. The storm started out as rain and then switched to blowing snow. Roads are snow packed and limited visibility due to blowing snow. Interstate 70 is closed from Salina west to the Colorado border. The best way to watch the storm is from inside. Of course Wylie and I can’t stay in too long. Out of the wind it was rather pretty. So looking forward to spring!!! This entry was posted in Daily Happenings and tagged Kansas, weather on February 23, 2019 by Debra Farmer. The national weather service has issued a blizzard warning for our area. 6-10″ of snow with wind gust up to 50 mph. I can’t wait!! With that forecast, Wylie and I loaded up and hit the backroads. One of our favorite roads to walk, but not today. Going to keep watch on this nest. When we were at the lake we saw many eagles standing out on the ice near open water. This entry was posted in Daily Happenings and tagged Kansas, weather on February 22, 2019 by Debra Farmer. I’m going to be wary of beautiful sunrises!! The weather system started as rain and changed to snow. I think we had 5″. It love being outside when everything is covered with snow, it’s SO peaceful and calming, as long as the wind isn’t howling and I’m all bundled up and not freezing. 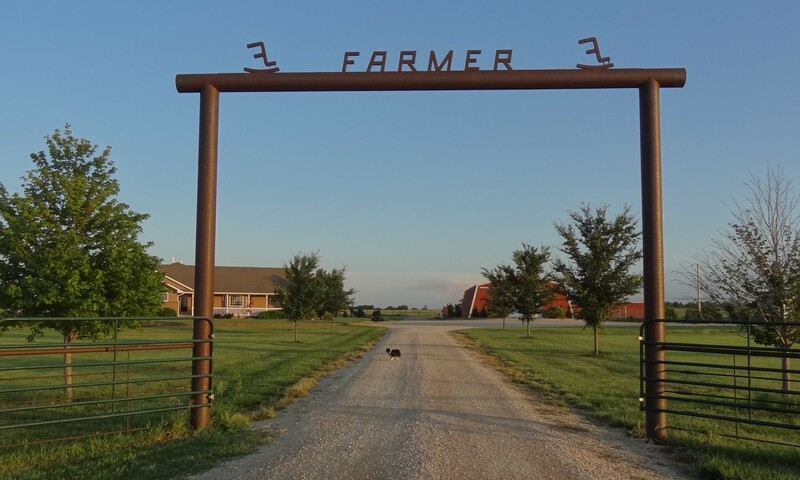 This entry was posted in Daily Happenings, Farm and tagged Kansas, weather on January 14, 2019 by Debra Farmer.